Reliance Precision celebrated the New Year with a second SC21 award for business excellence. Reliance was presented with the SC21 bronze award at the Farnborough Air Show in July 2010. Since then the company’s delivery and quality performance to key customers have been monitored against the demanding quality and delivery criteria set out by ADS, the trade organisation of the aerospace, defence, security and space industries. The silver award requires 99% on-time delivery and 99.5% quality performance, which Reliance delivered consistently across the period, as well as demonstrating improvements in business processes and lean manufacturing. 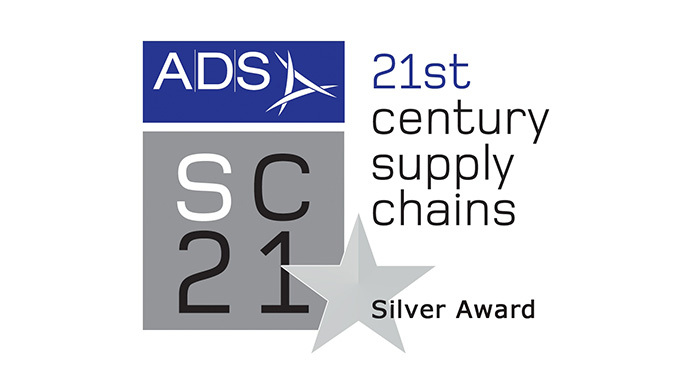 Reliance is one of only a small number of suppliers to the aerospace industry to have achieved the SC21 silver award. At the end of 2011 just 8 companies of 500 engaged in the programme had been granted the silver level.